Atlus sure likes its stylised and non-committal reveals, and has opted for that approach with Persona Q2, which is confirmed as a 3DS exclusive. This is a sequel to 2014's Persona Q: Shadow of the Labyrinth, a rather excellent game that blended Etrian Odyssey ideas with cast members from Persona 3 and 4. Based on the teaser image it looks like characters from Sony-exclusive Persona 5 will feature this time around. And that's it, there are no further details yet. We're likely to see the game pop up in Japanese media in the coming months, and hopefully localisation will be relatively prompt once again (it was a six month wait for the original to come out of Japan). Are you excited by this announcement? With thanks to Grandpa_Pixel for the heads up. Nice! I really need to get into personal one of these days, everyone seems to like it. Great news! Thanks again, Atlus. smt fans couldn't care any less, persona fans found the characters flanderized or something and only kinda appealed to EO fans. that's why I thought persona Q did poorly. Really enjoy the first one, definitely will check this one out come launch day. @NinjaWaddleDee @Oscarzxn It's obvious that Atlus is planning this as a 3DS exclusive series only, besides Switch is getting a new Shin Megami Tensei game soon so no big deal. I'll definitely be picking this up! I loved Persona 5 and Persona Q was a fine game. I especially loved the music in it, so hopefully it's just as catchy this time around. Personally I was hoping for Persona 5 Arena to be the first spin-off game for Persona 5, but this works too. @retro_player_22 I that it was a remake of an older one, I may have misunderstood. It's not on the Switch because a core aspect of the game is drawing your own map. Since the Switch doesn't have two screens, you can't really get the "true" Persona Q experience on Switch. Same with Etrian Odyssey. @Monado_X Why can't you "draw" on the touchscreen on the switch? @contractcooker How are you going to draw on the screen in docked mode? Sounds good! Will it be just P5 characters though or will they mix in some more of 3 or 4? They probably kept it on the 3DS due to the predecessor being on the 3DS as well. Otherwise why not of had Bravely Second on the Wii U? 3DS makes complete sense due to map drawing. Unprecedented Switch support from Atlus. @Oscarzxn Switch is garbage, and it has no install base. Why would this be on Switch? 3ds will get most sales, that's why it's not on switch. The SMT game will come next year when the Switch sells a few more millions. Or maybe the year after I guess. I enjoyed Persona Q, so I'm looking forward to this. I'll probably nab it day one if they release it far enough away from EOV in the States. Will be getting this game since I loved the first. @retro_player_22 "Soon" being s few years from now. I am hyped for it though. Shame no other switch support but I am curious how 3DS game sales will go next year when hopefully switches get more available. @Oscarzxn @NinjaWaddleDee How do you make EO work? The second screen is absolutely vital for EO's gameplay. It would be very hard to get it working on the Switch. Anyways, all I really know is that the first one is hated by what passes for the EO fandom but most people really liked it. Awesome! I wish it was coming to the Switch, but it's great it exists nonetheless! @Monado_X you can always use the joycon motion/gyro capabilities to simulate a Wii remote pointer. World of Goo and a couple other titles of done that. Worst case you can always just use the analogue stick. Is it as intuitive as a touch screen? No, but it works and plenty of games have done that before. I was bored with the first one and sold it before I finished. Hopefully this one would be better. And I loved the EO games, too. So did anyone see that Persona 5 R domain name registration? I was reading about it yesterday but don't know what to make of it. I will always say yes to more EO games, and the first PQ was excellent too (although the characterization was... off). I haven't played P5 yet, so I guess this will be my introduction to those characters. @Monado_X Wouldn't it be possible to just use the motioncontrols? @SLIGEACH_EIRE I had a good laugh at the 'suggestions' for the R in that article. Thanks for sharing it! Are you kidding me? With the time Altus spents on localization, this will arrive on the west in late 2018. Will the 3DS still have a market by then? Was it so hard to make a dual 3DS/Switch release? Please, let my 3DS rest in peace! Supposedly it was dead since Sun and Moon, but 2017 is looking like one of the best years for the handheld (Fire Emblem, SMTIVApocalypse, MHStories, Pokémon and Q2). @SLIGEACH_EIRE may be related to the anime they're making for next year. A 4th game would be kind of overkill imo. @yuwarite Are you implying that Switch has a bigger install base than 3DS? Because uh.... hm. If you want the game on Switch because you think it's the better console, just say that! Well that was unexpected, might be interested in this but need to go back and finish the first one at some point before that. Bit of a blowout for Persona spin-offs today as I saw two more rhythm games got announced for PS4/Vita based on 3 and 5. @CapricornDavid I should rephrase; it should be released on both systems. But if it were released on both, honestly I think it would sell better on Switch. As expected. Atlus isn't going to abandon the Persona Q engine and assets on 3DS anytime soon, hence the lack of a Switch, PS4, or PSV version. I know the odds have to be 1% at best, but I'll keep hoping for a full-on port of Persona 5, as I love JRPGs, I've never played a Personal game, and that one has been hailed as a masterpiece. I'd definitely settle for a port of Tokyo Mirage Sessions for the Switch, though! @Luna_110 Have you seen the latest charts? New 2DS XL was Japan's best-selling system again. Miitopia was 5th best selling game in UK in its launch week, and that's in a tough market for the system. And then there are the massive million-breaking sales of Dragon Quest XI. Even Nintendo themselves are expecting more 2DS and 3DS game sales in fiscal year 2017 - 2018 than Switch game sales. Yes yes yes! I absolutely adored Persona Q, so this is fantastic news for me! I cannot wait! @Mahe The Switch is a successful platform that's selling really well (relative to supply constraints), no matter how many times you try to spin it otherwise. Accept it. @Luna_110 For a really niche game like this, yes. If the Persona 2 cast is included I'll buy this day 1 for sure. @kotag Nah. Lots of people loved Persona Q. Even the people who treat Nocturne like the second coming seemed to enjoy it. @IceClimbers "selling really well (relative to supply constraints)"
You were talking about spin there? This is becoming (scratch that) is the little system that could! They won't let it die and rightfully so. This is now one of my most anticipated games! Lobed the first one to pieces! @xPH03N1Xx86 Did you ever finish it? I recall you got most of the way when I was playing but didn't finish. @NinjaWaddleDee Because it's cost effective. They're clearly going to be re-using the Persona Q assets. @Oscarzxn Makes sense - they just had a huge console exclusive release for PS, and the dev time for something like this, coupled with it not really competing with the console game, makes business sense. Good sign though, that we'll get stuff from the franchise for Switch in the future. I do wonder if, there wasn't a 3ds rn, if these companies would be developing for the Switch, or not for Nintendo at all, and just waiting it out? The huge user base on the 3ds + smaller dev time for a system that requires less graphical fidelity is a win. I could see Switch being seen like that within a couple years. The Switch sold ~90,000 units per week in the last two weeks in Japan alone, so it is selling incredibly well period. Where are the RPGs for my Switch? I really want the core P5 for switch. The persona games for me are handheld, so a bit gutted that hasn't happened. Still need to get into the spin offs. Wasn't a massive fan of EO so PQ was the one I was least interested in. @Spoony_Tech Yeah, I ran through it again because I enjoyed it so much. I still listen to the final boss theme. Also I'm on a huge SMT kick right now so this has me super excited. @Rumncoke25 The RPGs are on PS4 and 2DS. Maybe it's a timed exclusive and will come to Switch on a later date. I'll have to wait for the Switch version or miss the game. I'm the first to be disappointed it's not on Switch, but the entire EO series (and Q with it) is kind of designed around dual-screen play. Not sure the map drawing mechanic can survive on another system which is what these games are based on. I loved the first, but will skip this one at this point. I'd much rather get P5 on Switch. It won't happen, but I can dream. Can't wait, i'm definitely picking this game up! Was waiting for this to happen! Didn't take nearly as long as I thought it would!!! Persona Q was one of those games that I wanted to buy, but never got round to doing. I might be up for this new one. @NinjaWaddleDee Switch is getting a new Shin Megami game though. Maybe for 2018 and all. @NinjaWaddleDee Remember when Persona 5 was only on PS3 but Atlas started developing a current gen version because the release was taking so long? Just wait. @Haru17 Persona 5 is a main series game, Q2 is a niche spin-off, so I highly doubt that would be the case. @SDF This game is announced with nothing shown and not even a release window. Persona games tend to come out late in the generation, so by the time this game's out there will be a lot more active Switch users and a lot less ones on 3DS. Especially people who are avid enough to play PS4 games as well. @Haru17 Well, I can pray that it will be ported, but I don't want to get my hopes up. 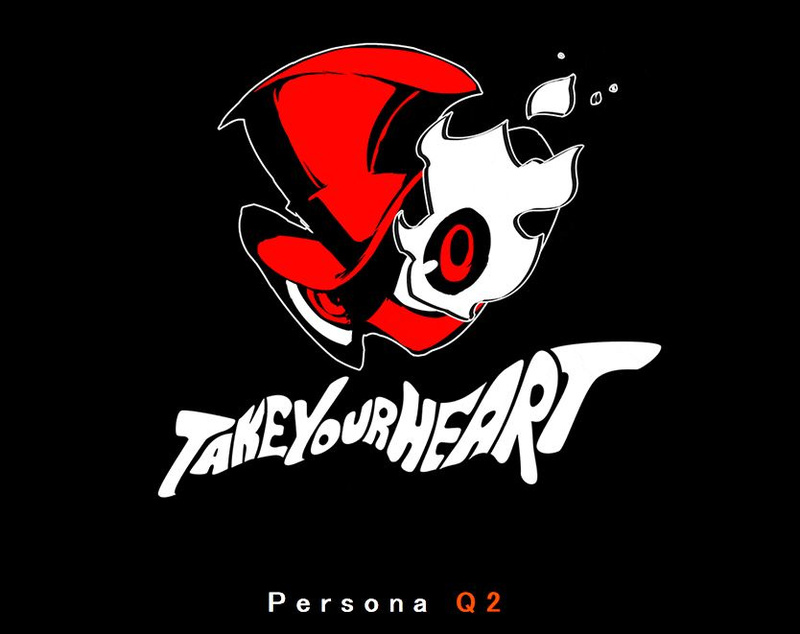 @TheAceofMystery I highly recommend playing PQ before playing PQ2 because there is a rumor that this game actually builds off of the first. Just a rumor for now but it may be true.